To be really honest, it was quite predictable that one day UGG would make a remote fashionable-ish come back and why not start with collaborating with Y/Project. (With that said; I am thankful for Jeremy Scott’s collaboration with UGG has *finally* reached the sale..) But I never thought that in such way as presented on yesterday’s Y/Project runway. 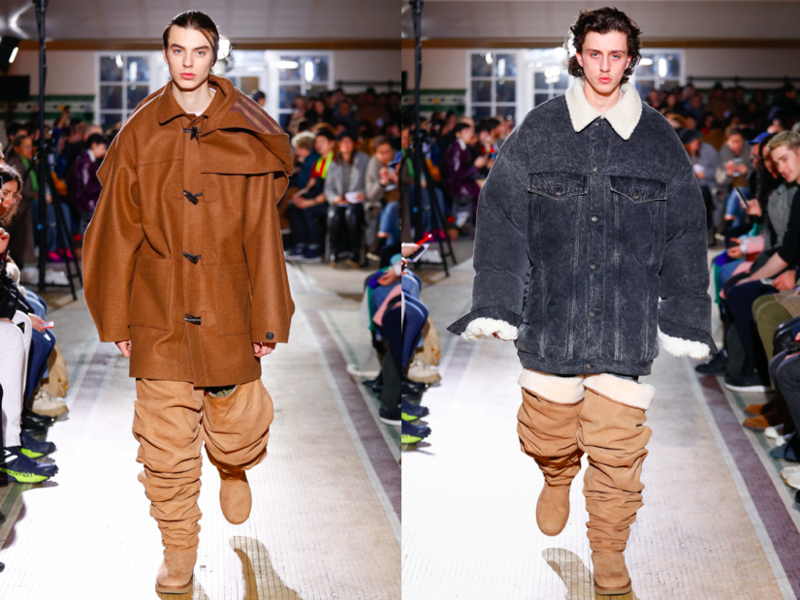 Glenn Martens earned his fanbase with elongating and distorting nearly each garment possible; so he did in his collaboration with the Australian footwear brand, known for the fluffiest and cosiest boots. The effect? Well, really, really perfect for snowy winters and wonderful for those fashion lovers. 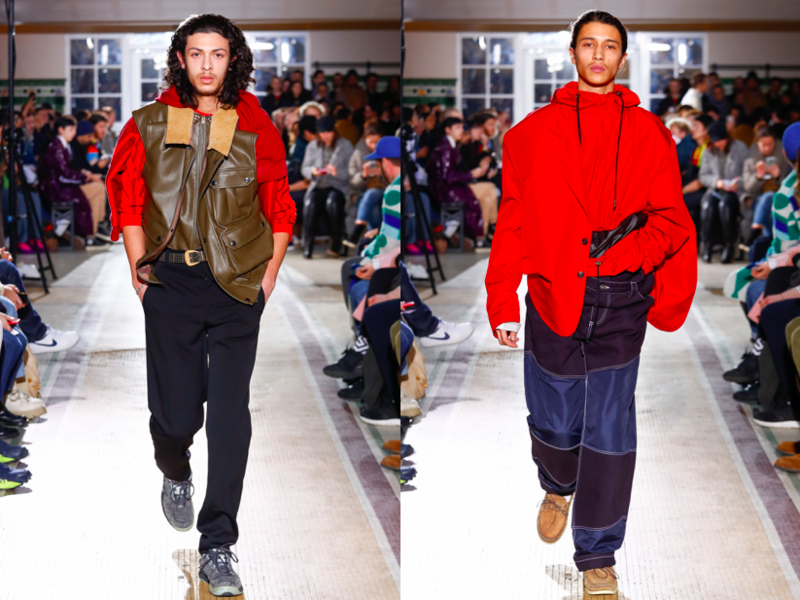 But the label’s autumn-winter 2018 wasn’t only about big feet, but layering. Layering, layering, layering, whether we’re speaking of extra-large hoodies, tartan shirts or tailoring. This entry was posted in Menswear, Paris, Trend Reports and tagged menswear, paris fashion week, UGG, Y/PROJECT. Bookmark the permalink.